Western Whiskey Gazette (WWG): Zero hour approaches! Last I checked it was the 4th of July. And now, here we are, just a few days from September 10th and the annual Gold Rush show that everyone looks forward. Yep this weekend is......................Downieville! SEPTEMBER 10, 2011 (Saturday) - HISTORIC DOWNIEVILLE CALIFORNIA ANTIQUE BOTTLES & COLLECTIBLES SHOW. Saturday, September 10, 2011. Show hours: 10 a.m. - 3:00 p.m. (8:00 a.m. for early lookers and admission is free after 10 a.m.) Downieville School Gym. Contact Info: Rick or Cherry at (530)289-3659 or email: ricksimi@att.net. Wine tasting starts about 5pm on Friday, the 9th. Saloon is open. BBQ is served about 7pm on Friday. Rick says that they are expecting quite a few for the Friday night fun. Word has it that half of the L.A. bottle club will be in attendance. Rumor also has it that two people will be bringing in a box or two of bottles to sell off the street. Not sure who they are or what they're bringing. A Gold Rush square? Belt Buckles? A Bryants cone? How about a green Kentucky Gem for your truly? Displays this year are rare California beers from the O'Neal collection, Western miniatures from the Higgins & Lindgren collection and bottles from the Pisano collection. Lou L. will be bringing some of the stuff that almost never sees the light of day. 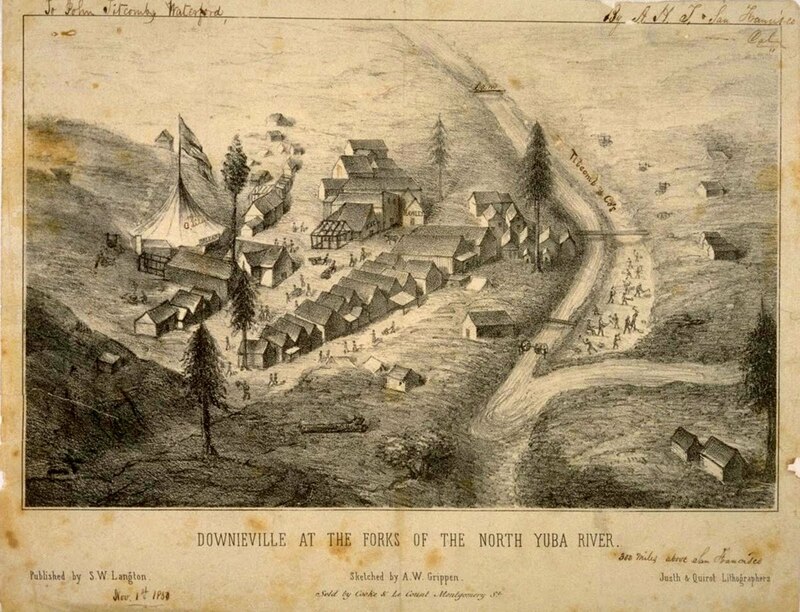 Lodging in Downieville has always been scarce. True to form, all rooms in Downieville are full, but Sierra City still has lodging. Call ahead to make arrangements! Sounds like there might be a couple of tables left for last minute dealers. Any questions; give Rick Simi a shout. Looking forward to a great weekend and seeing one and all. Stop by the table and say HI! Downieville 2011 - What's not to like?